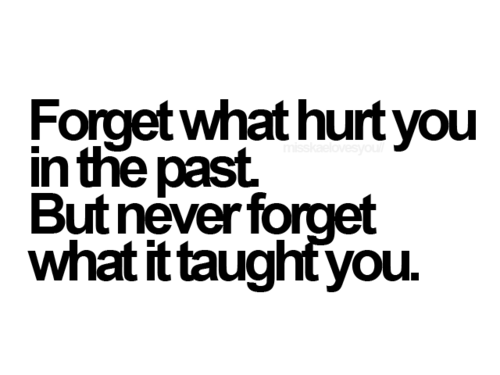 Forgetting the things that hurt you in the past is something that is much easier said than done. But if we are to go the places in life that we desire to go, and if we are to ever achieve the dreams that we have in our hearts, we have to be willing to learn from our pasts more than we are willing to try and relive it. The things that you have done, the mistakes made, and the people that hurt you before, are all things of the past that you cannot simply go back and change. So don't waste your time trying to. Be better than you were in the past by making a solid attempt at living righteously, inspired, dedicated, and courageously each day. Learn lessons from the old, but never be afraid to try and conquer what is before you that may seem new. When we experience times of difficulty and stress sometimes when no one is around to experience our pain with us, and even sometimes when others are there for us we still feel alone. I know that going through pain and grief is a hard thing to do, and it is especially hard to do by yourself. But unless you reach out to those close to you to let them know that you want them close to you in your grief, usually people will back off and let you grieve alone. 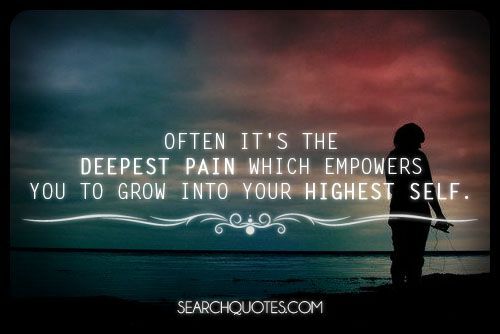 Often it's the deepest pain which empowers you to grow into your highest self. Many of life's lessons come from the pain we feel of seeing things not go as expected. It seems that life hurts us most when we are willing to take the risk of putting ourselves out there, only to find that doing so put us in the position of being discouraged and let down after a while. 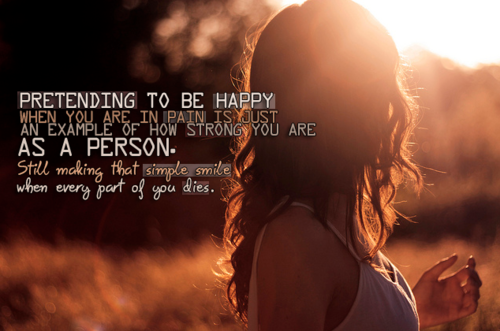 Pretending to be happy when you are in pain is just an example of how strong you are as a person. 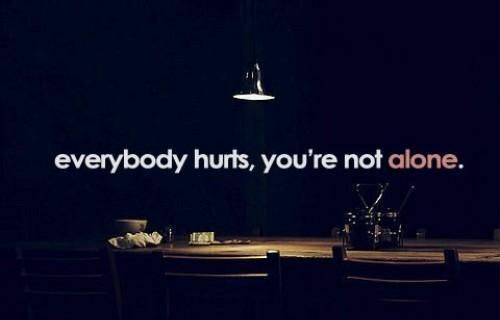 You never know what someone else is really going through until you take the time and effort to find out. Often times, the people who are plagued with heartbreak and pain most, are those who thoroughly convince everyone that everything is fine. 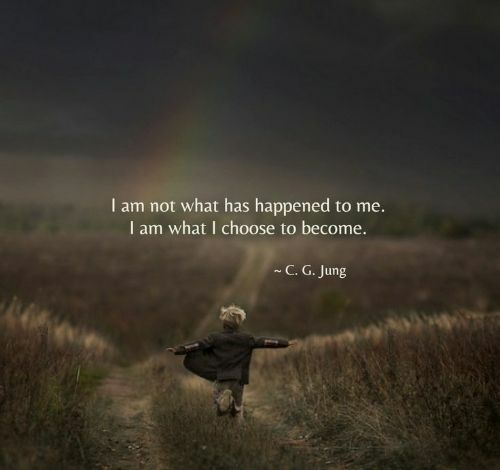 Living with the pain and fear of the past is not simple. We all have different sets of experiences and getting past emotional pain can be very difficult according to what we went through.